An oceanfront END UNIT, "Wading For You: 908A" is located within a private community with direct beach access and community pool. 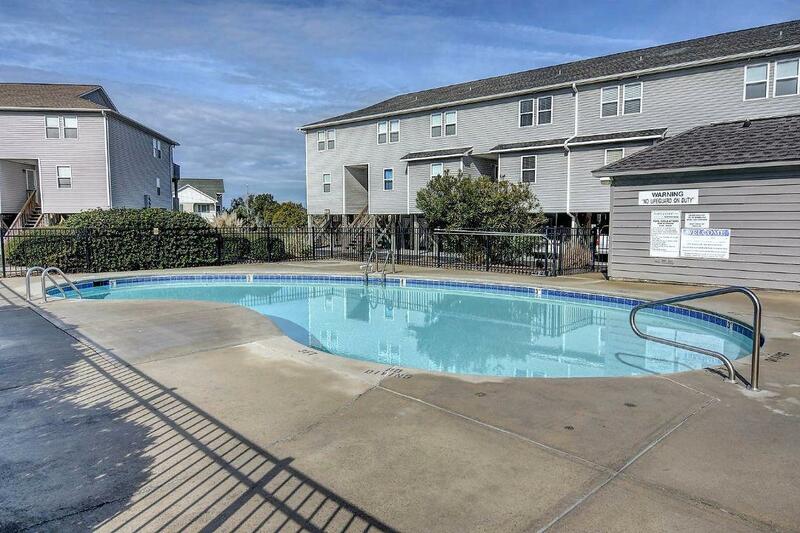 Tucked away on South Shore Drive in Surf City, it is an easy walk to shopping, the pier, and restaurants. Community pool is open from April 5th to October 7th! 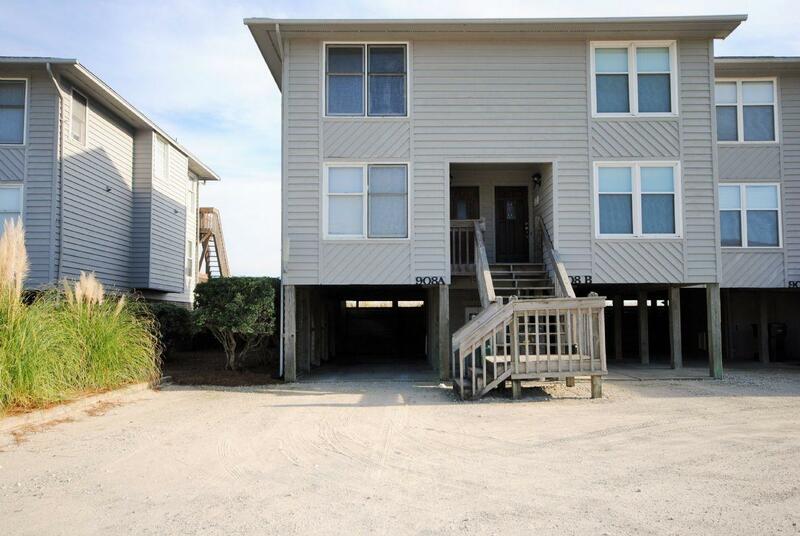 A newly remodeled unit, 908A boasts new flooring, paint, and furniture making this unit perfect for your next vacation. Upon entering this three bedroom, three bathroom unit, directly to your left, you will find bedroom one containing two twin beds. This bedroom conveniently uses the full bathroom located in the hallway. Following through the hallway you will enter the open floor plan living. Once you have entered the living area you will find the kitchen stocked with all the comforts of home, bar seating and a dining area that comfortably seats six. Moving into the living area awaits new furniture, flat screen TV and access to the LARGE oceanfront deck with ocean views as far as the eye can see. Upstairs, the master bedroom features a queen bed, en-suite master bathroom with double vanity, his-and-her closets and garden tub. Venturing outside, this bedroom also provides a private beachfront balcony with stunning views and access to the main deck and beach. In between the two upstairs bedrooms you will find a full-sized washer and dryer in closet to your right. Bedroom three has a double bed and an en-suite bathroom. Downstairs, the private deck provides comfortable patio furniture for relaxing outside and enjoying the ocean views. 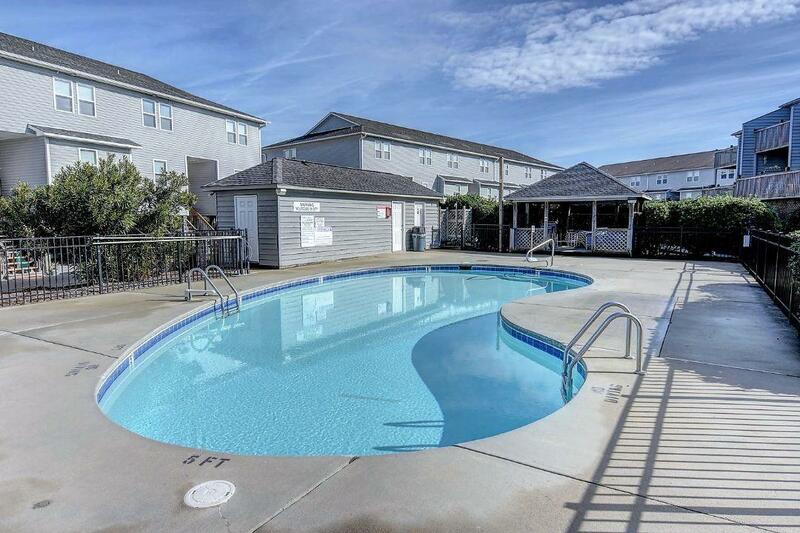 Being just a short walk across the street to the private community pool, this home is "Wading For You" to come enjoy a wonderful vacation on Topsail Island vacation. 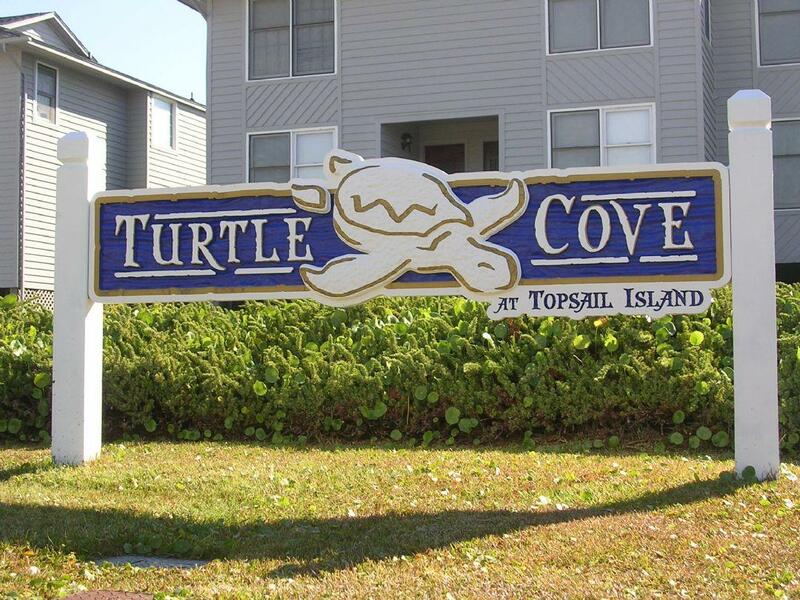 "We have rented many homes in North Topsail Beach and worked with several real estate agencies. Access Realty is by far our favorite! The staff is wonderfully friendly, warm, and accommodating. I love the follow up and attention to details - for example, they give out a personal size cooler bag which includes all the paperwork, 2 drink holders, and an inflatable beach ball! I used the bag every morning to hold my bible, and devotional books to take to the beach with me. We LOVE the linen company they use - towels are linens are in -plastic BINS not bags, the linen sets are wrapped in ribbon with little tags ID-ing each sheet size, and the sheets are PRETTY! Colorful and patterns. The ladies at Access helped us with a package we had to have shipped to the house, and also with something we needed to print. The staff is great. We loved the house, and will contact Access again with our new dates. "